The resources listed here help connect farmers, millers, maltsters, chefs, bakers, brewers, and consumers contributing to the growth of local grain economies around the country. 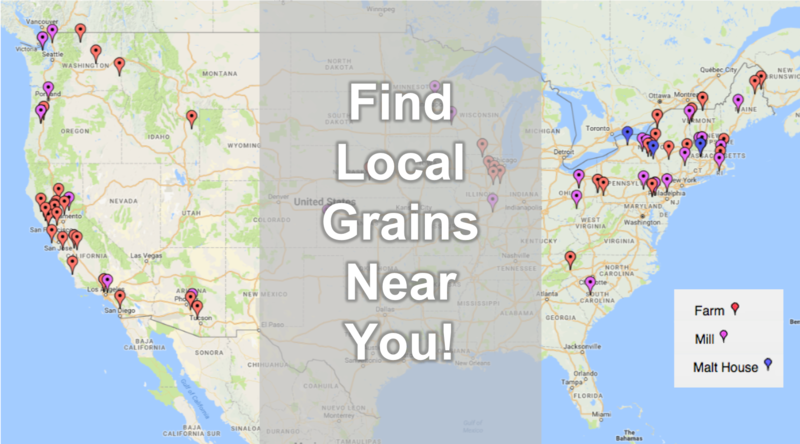 Use our map of farms, mills and malt houses to ﬁnd locally grown, milled, and malted grains near you. We also invite you to email us with your additional suggestions for grain-economy resources and locations where local grains are sold. Grains may be latecomers to the local foods movement, but they’ve arrived and they’re changing the way many communities think about ﬂavor and ﬂour. The local grain renaissance that’s making its mark, particularly throughout the Northeast and along the West Coast, is helping to connect consumers more closely with producers, millers, and artisan bakers. Many of the farmers involved in local and specialty grain production are interested in growing something people can’t ﬁnd on their grocery shelves, which has led to an expanding interest in heritage grain varieties. Perhaps one of the most signiﬁcant beneﬁts to these heirloom grains is ﬂavor—what Dr. Stephen Jones at the Bread Lab calls the terroir of the grain. 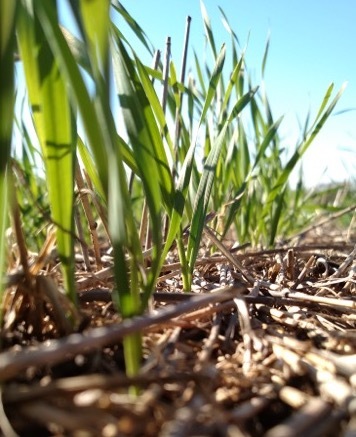 Instead of growing to maximize yield, farmers growing outside a commodity system are able to focus on growing varieties that produce much nuttier, sweeter, earthier ﬂours than the all-purpose wheat ﬂour we’re used to. The full ﬂavor of these grains is being explored and celebrated by bakers, chefs, and consumers alike, which is why it’s no surprise that whole grains are front-and-center in the local grains movement. Once you’ve committed to growing or purchasing heritage grains, it would be somewhat counter-intuitive then to reﬁne and strip away the unique ﬂavors of those carefully cultivated kernels. Beyond all the well-known health beneﬁts that whole grains oﬀer, their superior taste makes them hugely appealing—and heirloom grains, bred for ﬂavor, take these culinary beneﬁts of whole grains to the next level. When we started learning about all the small-scale, local grain production happening in communities around the country, we decided to lend a hand by creating a hub of resources to help draw and strengthen the connections between consumers and the local or regional grain economies developing around them. We’d love to hear from you and learn about the farms, mills, malthouses, and grain projects happening in your backyard. Email us and tell us about the local grains making it to your table! The Bread Lab Plant Breeding Program at Washington State University — The Bread Lab researches wheat, barley, buckwheat, and other grains, identifying varieties that are especially well-suited in taste and ﬂavor proﬁle to applications in craft baking, cooking, malting, brewing, and distilling. The Greenhorns — This organization works to support and recruit new farmers and provide resources (ﬁlms, radio, guidebooks, almanacs, anthologies, etc.) to teach sustainable agriculture, restorative land practices, and skill-building. Greenmarket’s Regional Grains Project — This project is focused on increasing both supply and demand for local grains in the Northeast region. Since 2009, all baked products sold through the Greenmarket have been required to contain at least 15% locally grown and milled ﬂour. A Guide to Northeast Grains — This book is meant to serve as an introductory guide to bakers and consumers who would like to learn more about regional grain history and alternative ﬂours like spelt, rye, buckwheat, emmer, einkorn, and triticale. Maine Grain Alliance — This group works to support the Maine grain economy through a seed restoration project and by hosting an annual Kneading Conference along with several other hands-on workshops throughout the year. They also award need-based technical assistance grants to help grain-based businesses in Maine. Meadows Mills in North Carolina — Meadows Mills is a manufacturer and supplier of mill stones and other milling parts and equipment. Northern Grain Growers Association in Vermont — This organization includes growers, maltsters, bakers, and grain enthusiasts all working to promote locally grown grains. Tehachapi Heritage Grain Project in Southern California — The project aims to preserve and grow organic heritage grains which are naturally drought tolerant. USDA NRCS Plants Database — This national database allows users to search by crop or species and ﬁnd where in the US it’s being grown. The database also provides descriptive information about the plant and its place of origin. USDA’s National Small Grains Collection — The NSGC is a genebank that collects grain germplasm from around the globe and distributes seed freely to scientists. Their collection includes strains of wheat, barley, oats, rice, rye, triticale, and a variety of wild relatives. Additionally, historic mills oﬀer insight and perspective into the history of regional grain systems and can act as a resource for those interested in learning more. How the Local Food Movement Paved the Way for Delicious, Whole Grain Baked Goods (11.15.17) - With a steady source of butter, sugar, and artisan chocolate at their disposal, pastry chefs have a knack for navigating direct routes to our taste buds. But recently the biggest source of ﬂavor in baked goods is coming from somewhere you would never expect: the ﬂour. The Kneading Conference: Summer Camp for Grainiacs, Flour Enthusiasts, and Bread Buﬀs (8.9.17) - Professional and hobbyist grainiacs alike gathered at the Maine Grain Alliance’s 11th annual Kneading Conference to ﬁnd inspiration, to learn, and to connect with their fellow attendees around shared passions and good food. A Grain Gathering: Growing a Massachusetts Grain Economy (3.15.17) - On a frigid, blustery Saturday in March, farmers, millers, bakers, maltsters, brewers, distillers, and chefs from around the region gathered at Plimoth Plantation’s recently renovated Grist Mill to make new connections and strategize ways of growing the local grain economy. Getting Local Heritage Grains into Your Own Kitchen (1.25.17) - When it comes to maximizing the ﬂavor and aroma of whole grain ﬂour, nothing compares to freshly ground. We checked in with a few of the folks pushing to make fresh milling and local ﬂours more widely available. Regional Grain Businesses at Work (11.9.16) - How do small farmers compete and thrive in a food system geared toward Big Agriculture? The answer almost always involves farmers banding together, often in concert with millers and manufacturers. The Grain in Maine’s Milled Mainly in Skowhegan (8.3.16) - Regional grain movements are being reborn around the country, including in Skowhegan, Maine, where speech language pathologist Amber Lambke reinvented herself as the local miller. Farmers and Bakers Seek the Flavor of Heirloom Grains (12.16.15) - More and more, we are seeing farmers, millers, and bakers going back to the basics of what constitutes good grain, and in turn, what makes good grain products.